The hardest part about dealing with this water situation is having to do everything with the water. Bathing, cooking, washing, everything has to be done with bottled water. Everything down from making coffee to washing our babies’ bottles. Our dogs’ don’t drink the water here. Our dogs drink bottled water. We brush our teeth with bottled water. We have to heat up water on the stove to give our kids baths. Not to mention, bottled water is only a temporary fix. We can’t continue to bathe our kids with bottled water for the rest of their lives or until they’re 18. That’s just not feasible. It’s hard but we make do.” - Brian Contreras at home in Flint, Michigan, January 30, 2016. “There’s people out here that feed their kids formula. They’re feeding their babies and stuff with this water. They have no choice because they don’t have a car to get out and go get the free water that’s being given you know. 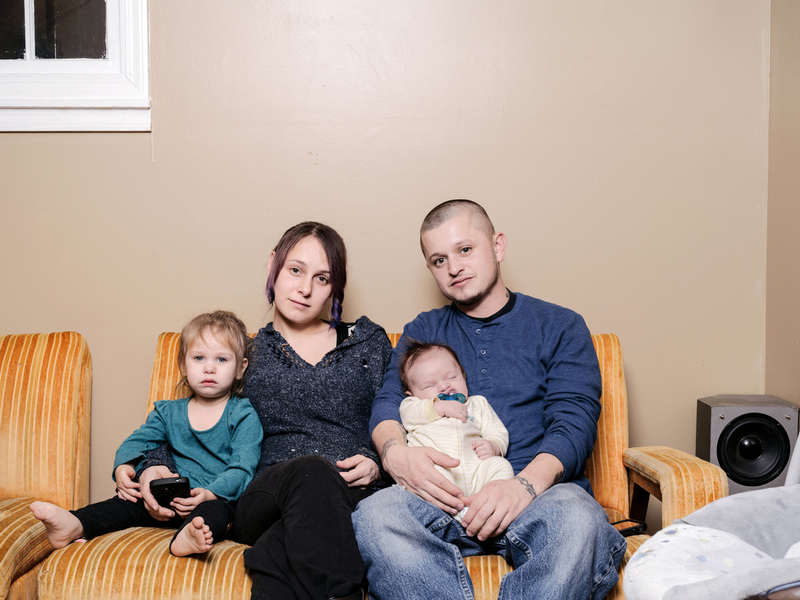 They don’t have the money to afford it and these kids are getting sick.” – Nisa Lanoue, at home with husband, and children, Flint, Michigan, January 30, 2016.